Xinhua — Despite expected relaxation in ties between Turkey and the United States with the release of a U.S. pastor, analysts remain skeptical about Ankara’s chance of obtaining exemption from U.S. sanctions on Iran ahead of a November deadline. “I don’t think the U.S. would stop pressuring Turkey to comply with the sanctions,” Murat Bilhan, deputy chairman of the Istanbul-based Turkish Asian Center for Strategic Studies, told Xinhua. After dropping out of a nuclear deal concluded with Iran in 2015, Washington reintroduced the first batch of sanctions on Tehran at the beginning of August. The second tranche of the sanctions, which will be in effect on Nov. 4, is considered more critical as it targets Tehran’s oil exports and financial transactions. Bilhan’s argument is mainly based on a trump card Washington has against Ankara, a U.S. court decision accusing Turkey’s state-owned Halkbank of violating previous U.S. sanctions against Iran. The court may impose a heavy fine on Halkbank as well as smaller fines on several other banks in Turkey for the same reason, according to Turkish media. Celalettin Yavuz, a security and foreign policy analyst, does not totally rule out the possibility that Washington may grant its allies, including Ankara, some limited exemption regarding the impending sanctions. The U.S. may consider giving Turkey time until it holds local elections in March next year, he said, describing the release of the American pastor as a favor to the Trump administration ahead of the upcoming mid-term congressional elections in the U.S.
Brian Hook, the Trump administration’s special envoy for Iran, signaled early this week that Washington could be willing to consider its allies’ specific needs while asking them to observe the sanctions. He also noted that representatives of some countries had paid visits to Washington to present their side of the issue. Ankara has repeatedly said it would not comply with the U.S. sanctions on its eastern neighbor, as the Turkish economy is expected to be hit hard by the sanctions in any case. 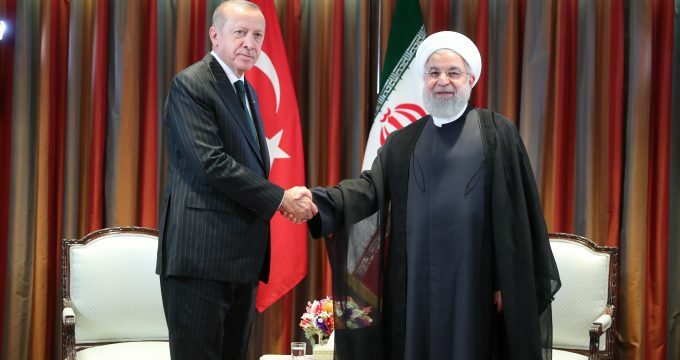 Should Ankara comply with the sanctions, its ties with Tehran would be damaged and it may have to pay a little more for oil to be imported from other countries. In case Ankara does not observe the sanctions, it will face U.S. punitive measures unless it obtains a waver from Washington. “The U.S. sanctions also aim to deal a blow to Turkish-Iranian ties,” said Yavuz, who teaches at Istanbul Ayvansaray University. Turkey would not be negatively affected by the sanctions, argued Mehmet Acet, a columnist with the pro-government Yeni Safak daily with a source in the know about the sanctions issue. According to the anonymous source, Turkey’s top oil refinery Tupras has been granted a waiver by Washington regarding the sanctions. In 2017, Iran was Turkey’s biggest supplier of crude oil and the second biggest supplier of natural gas after Russia. Ties between Ankara and Washington, two NATO allies, have been rather strained in recent years for a number of reasons. The release last week of evangelical Pastor Andrew Brunson, who was charged with espionage as well as being linked to terror groups, appears to have set the stage for a possible ease in ties. U.S. Secretary of State Mike Pompeo was in Ankara on Wednesday to talk with President Recep Tayyip Erdogan and his Turkish counterpart Mevlut Cavusoglu. Following the talks, Pompeo signaled that Washington could soon remove the sanctions levied on Ankara in August for keeping the pastor under arrest. Both analysts feel, however, that the apparent ease in ties with Washington is no more than skin-deep and temporary as there still remain some major disagreements between the allies. “I don’t think the problems between Ankara and Washington are easy to resolve,” stated Bilhan, a former diplomat. “Turkish-U.S. interests clash in a good deal of areas,” said Yavuz. For one, continued U.S. military support for Kurdish militia in Syria is a thorn in the side of Turkey, as Ankara sees the Kurdish fighters as terrorists. For its part, Washington is highly disturbed by Ankara’s close cooperation with Moscow in war-torn Syria and its bid to buy Russian-made S-400 air defense system. “Unless the U.S. changes its domineering attitude toward Turkey, it would not be realistic to expect a complete normalization in ties,” argued Bilhan.